Reconciling every accounting fund every month may sound onerous, but it saves time and headaches down the line — especially during the annual audit. What is the magic binder? The short version: a process where you reconcile every number on your balance sheet and put it in a binder on a monthly basis. It’s a way of reconciling not just cash accounts and pledges, but every single item on the balance sheet. The objective is to have each account in the general ledger system reconciled to a report generated outside of it. For example, a monthly tuition receivable balance should tie to a report generated in a student billing or accounts receivable system. At The Shipley School, we have 12 accounting funds and a very large balance sheet. I was far from excited when our CFO, Adam Wojtelwicz, learned about “the magic binder” from a presentation by Susan Hansen, who was then at Marist School and is now at the Atlanta Montessori International School. I simply didn’t think I had the time; there was already so much work and so many deadlines, I thought I couldn’t take on one more responsibility. It is possibly the very best process we ever implemented in my 19 years in the Shipley business office. However, six years later, I can tell you it is possibly the very best process we ever implemented in my 19 years in the Shipley business office. 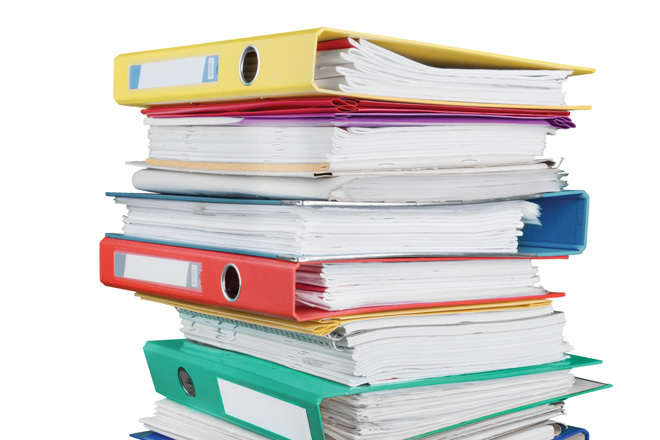 The most significant benefit is that the magic binder cuts our audit time in half. Before we started doing this, our auditors would come in for a full week for the preliminary audit, and two weeks for the final audit. Now it’s two days for prelim and four days for final. The first few months of implementation take a little more time. You are reconciling accounts you may have assumed were correct and find out they’re not. When you start getting deeper into the nitty gritty, you also find things that could be improved, such as better account structures, or adopting FASB fund accounting to save time. My main advice is to stick with it. It’s very easy to put things off and reconcile what “needs” to be reconciled and then go back to the other accounts later. However, it takes far less time to reconcile every account every month than to go back later. There is nothing worse than finding an error after a delay in reconciling and having to figure out when it occurred before you can fix it. I remember the first time our auditors came in after implementation. It took some time for them to understand why I handed them 12 binders (one for every month) and that most of what they would historically ask for was ready and waiting for them. I had indexed the entire balance sheet so it tied directly to each section of the binders. This has significantly reduced the number of questions asked and requests for documentation, and is essentially why our audit concludes so quickly. We also found that reminding our finance and audit committees that we do this brings them a level of comfort. The binder helps establish trust in the overall reporting of financials. There are no surprises. If you have more than one accountant in the business office, it is helpful to have two people review the binder on a monthly basis. One person checks off items on the balance sheet as the other states the numbers from the binder’s alternative reports. Another set of eyes never hurts. Plus, things can change quickly and you may not even realize it. Because a “balance sheet reconciliation” takes time, I often reconcile at certain times over a given month, and sometimes changes occur after the fact. Revisiting the binder with someone else helps identify those changes. The bottom line is the magic binder helps ensure proper accounting functions have taken place, minimizes the risk of balance sheet items changing dramatically due to mistakes, and reduces the amount of time auditors need. If your audit happens over the summer as ours does, this is quite a gift! Jayme Karolyi is director of finance at The Shipley School, with 830 students from preschool through grade 12 in Bryn Mawr, Pennsylvania.